Thanks to the innovative procedures, we make contributions on market standard elbows.With this innovation the classical process of "hand-in segments" is left in the past. 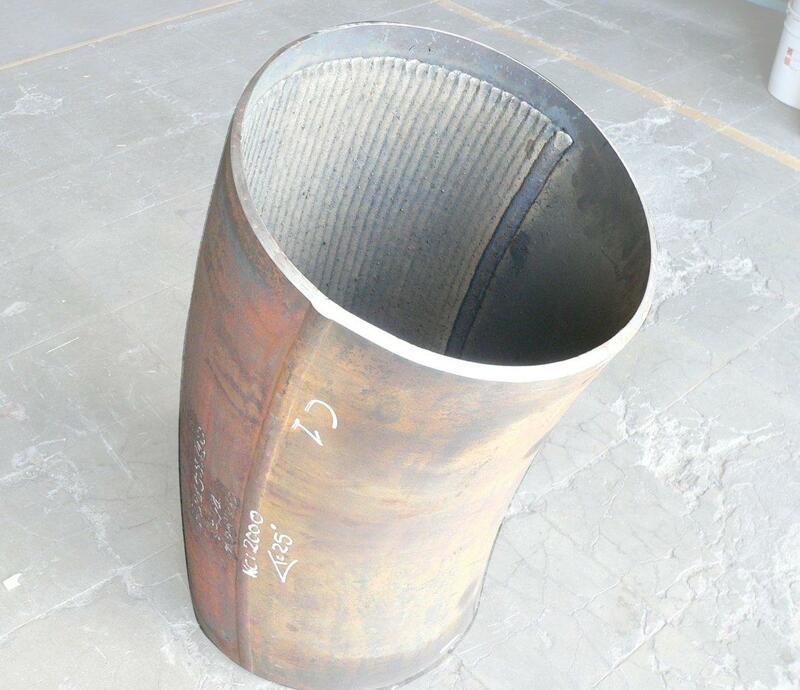 Thenew method of continuous radius allows us to manufacture continuous contribution andavoid the use of straight segments and welding. This method is valid for all Bimetalqualities and let the finished product to obtain better wear resistant characteristics.